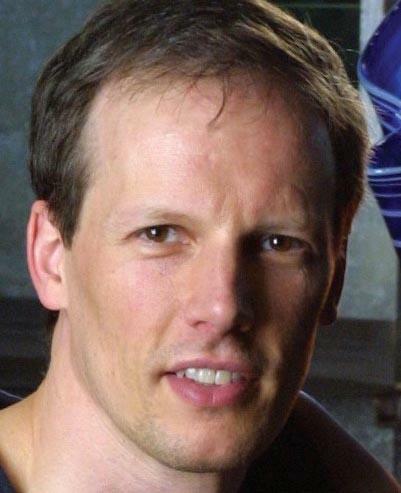 This article first appeared in the St. Louis Beacon: When entrepreneur Jim McKelvey met software developer Chris Oliver a month ago, he was stunned to hear how many of Oliver’s talented friends in the field were out of work. That realization was the genesis of Launch Code, a new initiative unveiled this afternoon at Washington Avenue’s Lab1500. A diverse group of entrepreneurial movers and shakers were on hand to see the birth of something McKelvey – along with co-founders Chris Sommers of Pi Pizzeria, Dan Lohman of Pushup Social and Oliver of Givver – hope will transform the startup scene by connecting programmers with the area companies who need them. The premise is simple enough. Launch Code has gathered 75 companies that are each offering single jobs at $15 an hour to beginning software developers who will then be paired with a more experienced programmer to work on projects. Participating enterprises in the effort are a diverse list that reads like a who’s who of St. Louis commerce, including newer startups like TrakBill, Tunespeak and Bonfyre as well as established names like MasterCard, Monsanto and Emerson. Organizers will cap the initial round of the project at 100 companies with 100 applicants being placed in positions where they remain until the enterprise either hires or drops them. However, more developers are invited to come on board for Launch Code and McKelvey expects the program to expand rapidly with a pool of thousands of applicants possible for future rounds of the effort. McKelvey said that about 50 developer candidates had already signed up even before the program was officially announced. He hopes there will be many more. Meanwhile on the other side of the fence, he said that literally every company Launch Code approached said yes. The paired programming technique is one with which McKelvey is very familiar. Used commonly in Silicon Valley, it is also employed at Square. McKelvey admits it can be a bit counterintuitive for cost-conscious organizations to put multiple salaries on the same job, but it is ultimately rewarding on multiple levels. “This pairing, although it seems very expensive because you have two people and only one output stream, is extremely effective in reducing errors and it makes for much better code,” he said. But you also get on-the-job training and mentoring for nascent programmers without sacrificing productivity. In the case of Launch Code, each company may also identify new full-time employees, some of whom might otherwise go overlooked in a resume-driven world where the inexperienced often find breaking into the industry nearly impossible. McKelvey said he understands that the pay is underwhelming, particularly in a field where the median salary is $90,000 a year. But the modest rate is intentional. Still, he stresses that it is not an internship and no classes are provided. McKelvey said the unique nature of the project means that these first participants will also serve as test cases to gather evidence of whether it is working. And McKelvey notes the issue being addressed is regionwide. It’s in that vein that he has high hopes for the effort. Interviewed after the presentation, Lohman, one of the project’s founders, said he thinks it is another way the city can boost its image as a center of innovation. Trip Goodloe is COO of Girls Ask Guys.com, a locally based website for relationship and dating advice, which is one of the first-round companies to offer a position. He said he’s happy his organization is participating. Dan Reus of Openly Disruptive, a local innovation and education group, said he feels the environment is ripe for the initiative. Jim Brasunas of ITEN, Innovate St. Louis’s tech accelerator, said the experimental nature of the idea means it could succeed or fail but there really is no downside to making the attempt. Ken Harrington, head of the Skandalaris Center at Washington University, said he thinks Launch Code will help to connect people in town with the jobs they need. “It’s a fantastic idea because so many people who need to meet each other are going to meet each other just because of the dynamics of the process,” he said. Launch Code is set to hold its next event Sept. 23 when organizers expect to have placed their first 100 employees.